Showing 44 articles from November 19, 2014. FRANKLINTON -- Town commissioners approved an asset purchase agreement, agreeing to sell its water system to the county for about $700,000 more than initially anticipated. In August, Franklinton official entered into a Memorandum of Understanding (MOU) -- essentially agreeing to begin the process of selling the utility system to Franklin County. 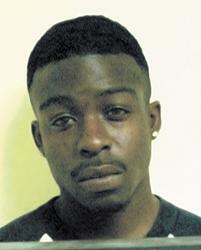 LOUISBURG -- Police arrested a couple of Raleigh transplants suspected in a rash of home break-ins. Officers charged Derrick L. Jones Jr., 18, and Tybias N. Parker-Moore, 19, with breaking and entering and larceny, and conspiracy to commit larceny hours after they allege they broke into a home in the 400 block of Elm Street. Jones and Parker-Moore have only been charged with one break-in, but they are suspects in at least three more cases, said Louisburg Police Capt. Jason Abbott. LOUISBURG -- With an eye to the future, historians had a firm grasp on the county's past and present, lowering a time capsule into a plot at Oakwood Cemetery -- hoping to give residents in 2114 a glimpse 100 years into the past. 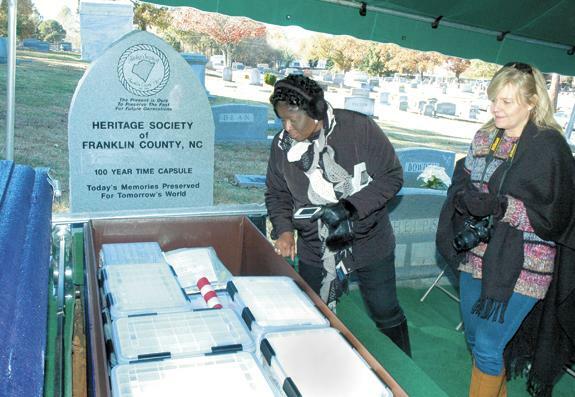 The Heritage Society of Franklin County NC held a Sealing Ceremony on Nov. 15, celebrating Franklin County's history and preserving it in sealed envelopes and containers that were buried in the Louisburg cemetery. LOUISBURG -- The Franklin County Board of Commissioners approved as much as $83,000 in additional necessary and cosmetic improvements to the county jail and courthouse. First, the board approved a change order of $42,620 to make additional changes to the fire alarm system at the jail. The work is part of a multi-million dollar project at the jail to replace the roof and rehabilitate worn out walls and other structures that were compromised by the admission of moisture into the building. LOUISBURG -- The Louisburg Town Council formally seated a new member, approved a run-walk event and got a preview of just how costly and complex it will be to keep the town's two-decades-old sewer plant operating. Seated at the beginning of the meeting was George Manley, a former town council member who was chosen to replace Mary Green Johnson who resigned earlier this fall. Because of the looming Thanksgiving holiday, deadlines for The Franklin Times holiday edition have been rolled back. All Franklin Facts and church news information must be received at the newspaper office not later than noon Friday, Nov. 21. 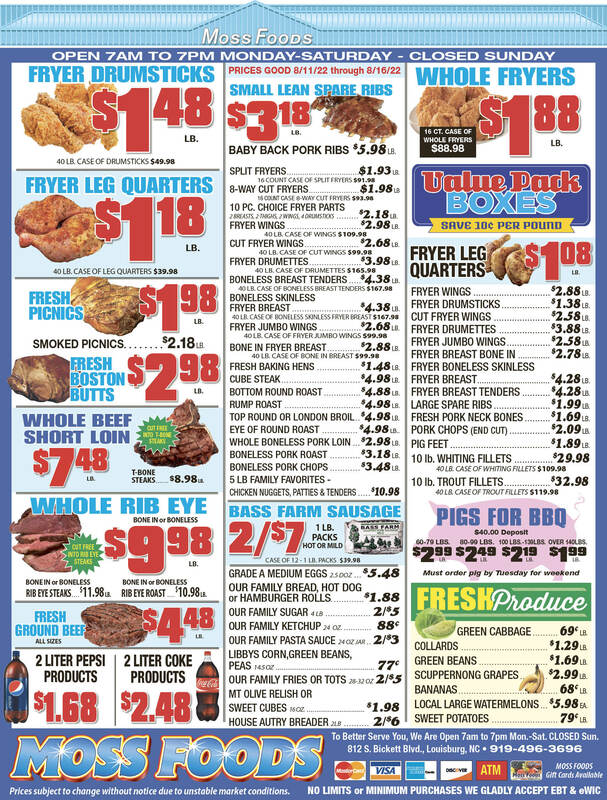 The Thanksgiving edition, the largest of the year, must go to press Monday in order to be delivered on Wednesday. Remember teachers, one plus one can equal amazing! If you have any doubt about the effect that "little things" like educational basics can have, consider the fact that decades ago a group of little boys and girls learned that 1 plus 1 equals 2 -- and took off from there with a lot of help from the educational systems they enjoyed. Some of that accumulated knowledge allowed the European Space Agency's Rosetta mission to successfully place a small craft on the surface of a speeding comet. 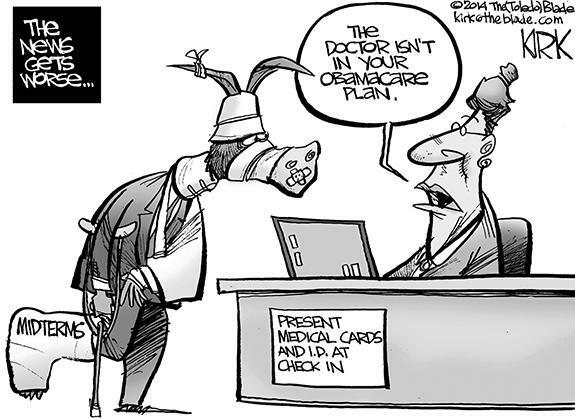 The political arena in Franklin County has been deafeningly quiet in recent weeks in spite of the fact that Franklin Regional Hospital has been reduced to a mere emergency room with two acute care beds. You'd think local officials would be all over that loss, especially since a quality, functioning hospital is such a vital part of economic development and quality of life issues. Is selling water the end of the story or start to sequel? The town of Franklinton has been grappling with its ailing and aging utility system for years. The intensity spiked in August when, following an apparent testy closed session -- and in front of an arms-folded, stern room of residents -- town commissioners agreed to sell its water system to Franklin County. Passions continued to boil in the following months, as residents, both pro and con, packed meeting rooms at Town Hall and in the Franklinton Middle School auditorium -- pleading their cases before the town's Board of Commissioners. On Saturday at 12 o'clock, Nov. 15, 2014, our today was to the future cast. A major effort to protect the history of the people of Franklin County culminated. The time capsule was interred. The event program was titled a Sealing Ceremony; it was so much more. A celebration of what is possible when like-minded good people focus on meaningful effort. 'Political noise' blamed for low voter turnout? So much happens in an election that you cannot intelligently analyze it in a few hundred words or a 30 second sound bite. 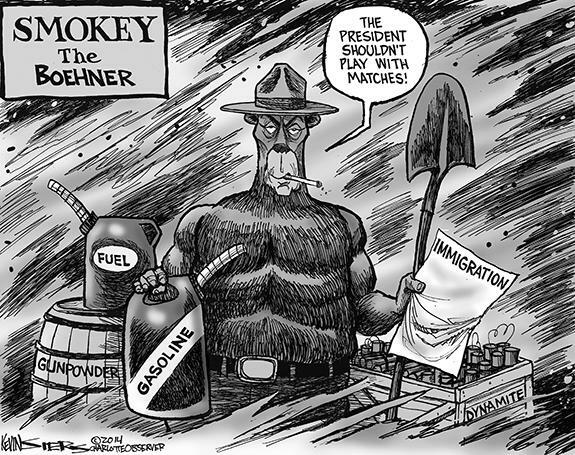 It is never one factor, and many of those factors are beyond the control of the public at large. One, however, is and that is what I want to discuss again today - turnout. While Franklin County can be proud that its turnout out-performed the state it is kind of the one-eyed man who becomes king in the land of the blind. As a retired teacher in Franklin County, I was pleased to read your editorial acknowledging the need for funding for the main branch of the Franklin County Library. I truly believe that the library is one of the best assets in Franklin County. The vast majority of pastors today are "success oriented." Beginning in Bible college or seminary and continuing throughout a pastor's ministerial life, the emphasis is success, and that means church growth, larger congregations, bigger buildings, bigger offerings, burgeoning statistics, greater notoriety. I would like to congratulate Kent Winstead on his election as Sheriff and congratulate him and his opponent, Jerry Jones, for running positive campaigns that focused on our county's needs in law enforcement, particularly in building and maintaining a professional, well-trained, well-equipped department that has close working relationships with all segments of our society. LOUISBURG - Funeral services for Bishop William Land, former pastor of St. 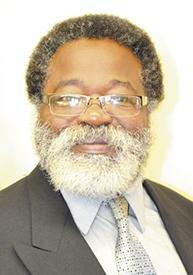 Delight United Church of Christ of Louisburg, will be held Friday, Nov. 21, at 11 a.m. at St. Delight in Louisburg. CLOSING IN. Bunn's T.J. Jones (left) prepares to tackle South Granville's Sean Bowman during last Friday's first-round matchup in the Class 2-AA State Football Playoffs in Creedmoor. The Wildcats were 15-6 winners. CREEDMOOR -- The Northern Carolina Conference featured a unique competitive balance this fall, with every team possessing a legitimate chance to defeat any other league club on a given night. So why should the postseason be any different? When Bunn lost to South Granville late in the campaign, turnovers were a key as the Wildcats had three miscues that directly led to Vikings' touchdowns. IN THE GRASP. 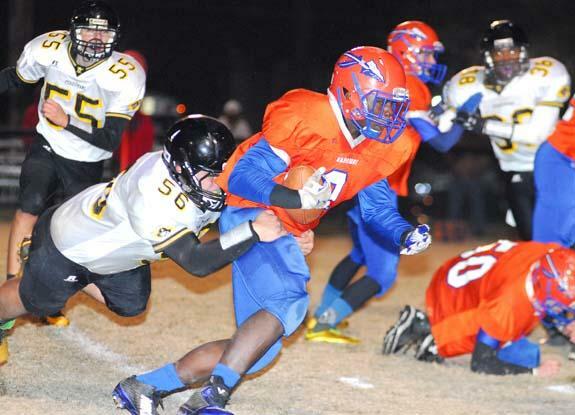 Louisburg High School fullback Jeru Debose carries the ball during last Friday night's home victory versus Perquimans in the opening round of the Class 1-AA State Football Playoffs. LOUISBURG - Louisburg's postseason quest began with a touchdown on the first play from scrimmage -- and kept rolling from there. 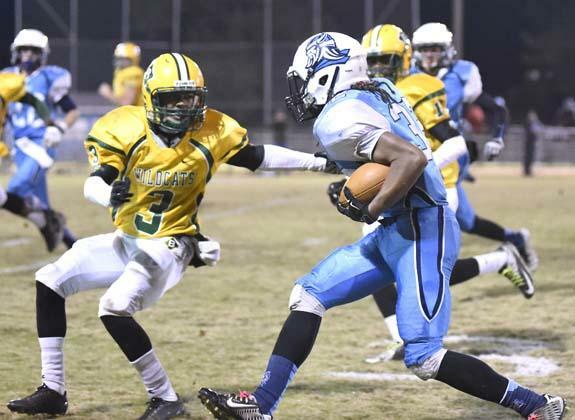 The Warriors kicked off the Class 1-AA State Playoffs in explosive fashion by delivering a 49-14 home decision over Perquimans las Friday at Patterson Field. HELP IS ON THE WAY. 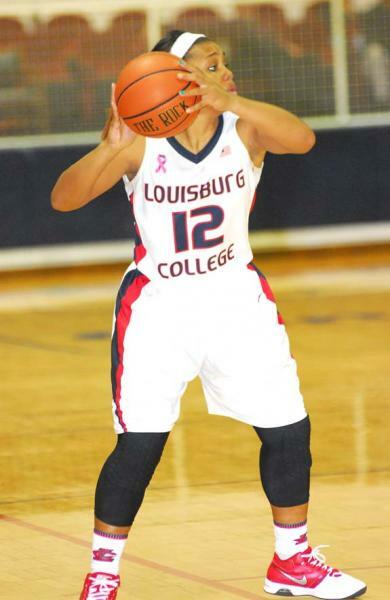 Louisburg College's Destiny Barrino looks for an open teammate during last Friday's home game against Hagerstown CC. 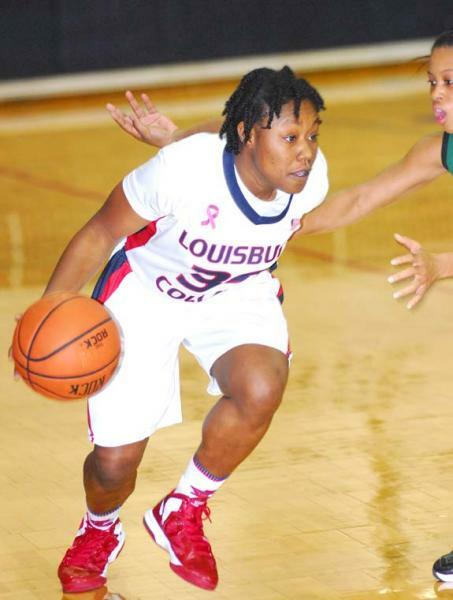 LOUISBURG -- The kind of depth the Louisburg College women's basketball squad possesses this season can sometimes be a double-edged sword. Certainly, second-year LC head coach Shay Hayes has plenty of options to work with. But on a team void of superstars, finding the correct options will be an intangible Hayes and her staff will have to consistently with this winter. SQUEEZING BY. 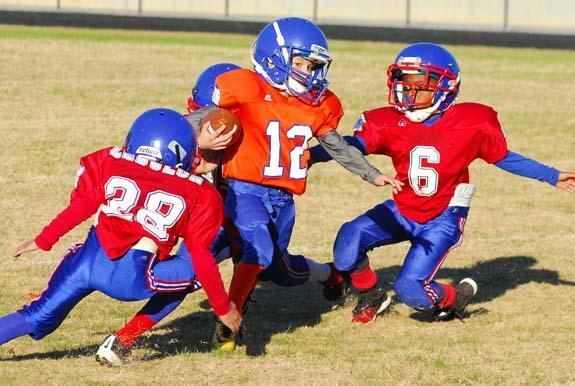 Louisburg Lions quarterback Will Champion (with ball) tries to escape three Zebulon defenders during EWFL Super Bowl action. ROLESVILLE -- Even 30 years removed from the event, Louisburg Lions assistant coach Chad Champion vividly remembers when he participated in the East Wake Football League Super Bowl. 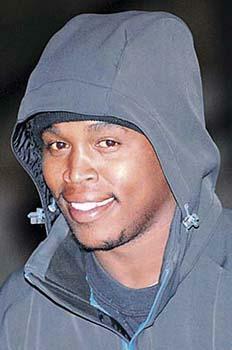 Champion and the Lions weren't able to win that day, but the memories will always remain with him in a positive manner. 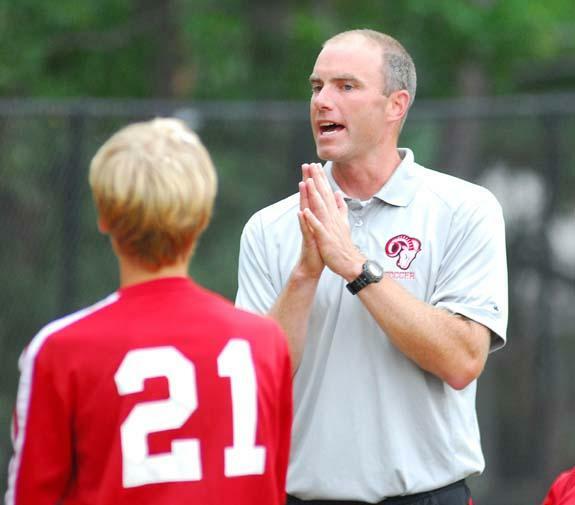 FRANKLINTON -- Coming into the season, Franklinton High School coach Isaac Welker thought his team was missing one key piece -- and only one -- in its potential quest to claim the Northern Carolina Conference Boys Soccer Championship. But that piece was a huge one as FHS had graduated high-scoring Ivan Rebollar the year before -- and didn't seem to have a capable replacement handy. ROANOKE RAPIDS -- Franklinton was able to deliver 35 points, but it wouldn't be enough during last Friday's rematch against Roanoke Rapids in the opening round of the Class 2-AA State Football Playoffs. The Jackets, who edged FHS earlier in the campaign en route to winning the Northern Carolina Conference championship, made it two in a row against the Red Rams with a 49-35 triumph at RRHS' Hoyle Field. CHAPEL HILL -- Here are the first-round results and second-round pairings for the Class 2-AA and Class 1-AA State Football Playoffs. 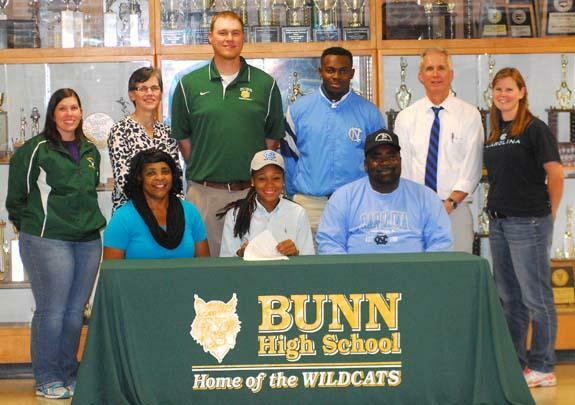 BUNN -- When Tainasha Vines first expressed an interest in attending the University of North Carolina, none of her coaches at Bunn High School tried to talk her out of it. That's because Vines' trio of mentors -- Matt Keith (girls basketball), Henry Jones (volleyball) and Eleanor Fuller (girls track and field) -- all attended UNC-Chapel Hill. ON THE RISE AT FHS. Senior middle hitter Anna Moss (right) was unstoppable at the net this season for the talented Franklinton High School volleyball squad. 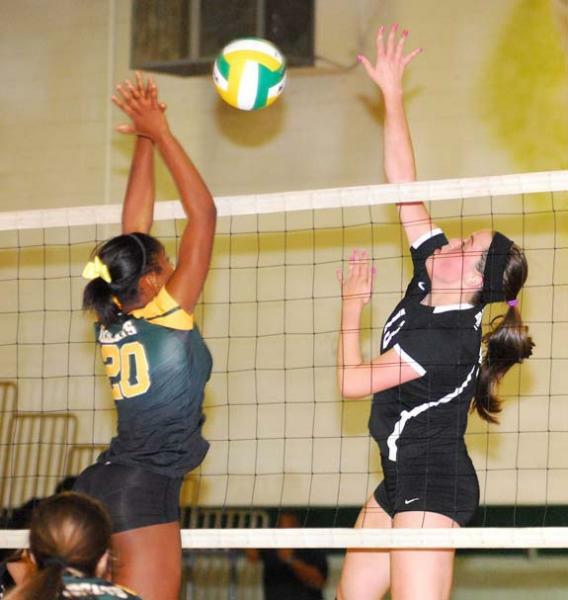 FRANKLINTON -- It wasn't until midway through her junior season at Franklinton that Anna Moss realized that she wanted to play volleyball on the collegiate level -- if given the opportunity. Just over one year later, Moss finalized that dream as she signed a letter-of-intent last Thursday to continue her career at Division I University of North Carolina-Wilmington. ROCKY MOUNT -- North Carolina Wesleyan College's football team honored its 2014 senior class last Saturday afternoon prior to its season finale with Huntingdon College at Bishop Stadium. It was the Hawks, however, who came away with a victory, handing the Bishops a 37-20 loss. The game marked an end to the NCWC careers of Jacques Alston, James Wallace, Brice Wordsworth, Albert Raynor, Logan Waters, Quentin Pittman, Samuel Herring, Isaiah Morrow and Andrew Brown. GREENSBORO -- With former Bunn High School standout Tarik Cohen leading the way, the North Carolina A&T football squad is moving up the national rankings. The Aggies, with a 9-2 overall record, are No. 24 in the latest Sports Network FCS Top-25 College Football Poll. North Carolina A&T is also No. 1 in all three black college polls (Box To Row, Sheridan Broadcasting Network and Heritage Sports Network). ALWAYS ON THE MARK. Senior Tiara Wilkins was known for her reliability and versatility during her outstanding career as a member of the Franklinton High School volleyball squad. Wilkins will continue her career next fall at Greensboro College. 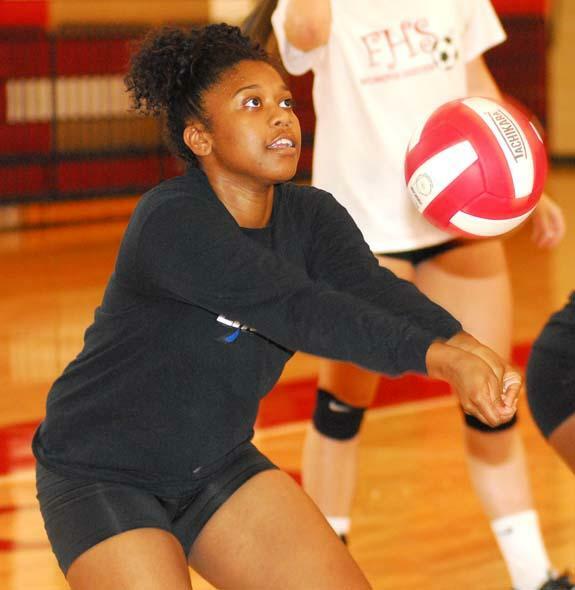 FRANKLINTON -- If one play typified Tiara Willkins' volleyball career at Franklinton High School, it came during her sophomore season -- with the Northern Carolina Conference Championship at stake. Wilkins and her Lady Rams' teammates had reached the finals of the NCC Tournament, where they faced a tough road test against the Corinth Holders Lady Pirates. 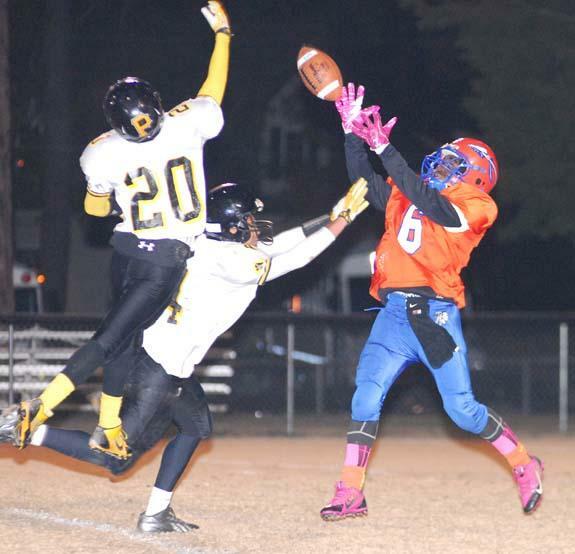 Louisburg High School's Javontae Taylor (right) rises in an attempt to catch a pass during last Friday night's home triumph over Perquimans in the first round of the Class 1-AA State Football Playoffs at Patterson Field. 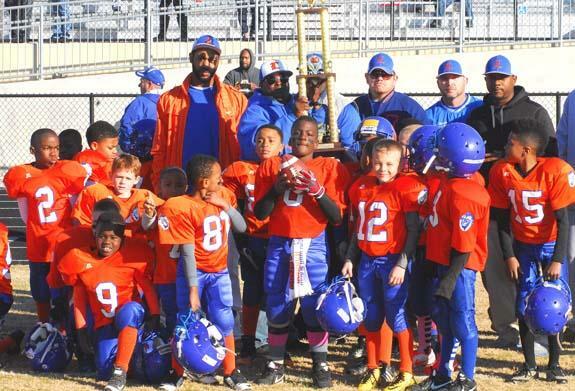 Members of the Louisburg Lions Mini Mites pose after receiving their trophy for finishing in first place in the East Wake Football League's Central Division this season. The presentation was held at last Saturday's Super Bowl in Rolesville. Louisburg College's Deneysha Goods (left) drives toward the basket during last Friday's home game against Hagerstown CC. 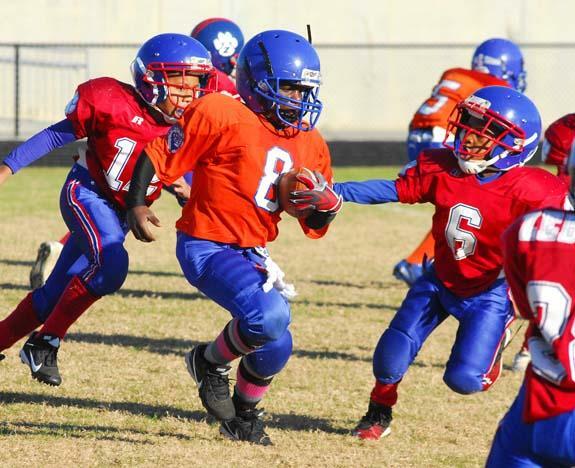 Louisburg's Shamir Sheppard sprints upfield during last Saturday's meeting with the Zebulon Cougars in the Mini Mite matchup of the East Wake Football League Super Bowl. The event was held at the Rolesville High School Football Field. 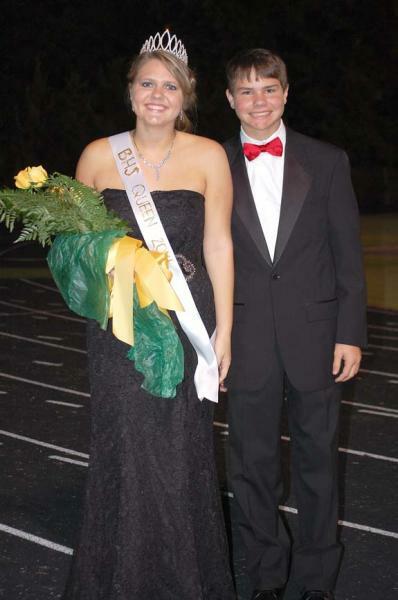 Paige Timberlake (bottom) was honored as the Queen. Paige was escorted by her brother, Dylan. Louisburg College's AndreAnna Pool takes to the lane last Friday against Hagerstown CC. Loftin Olivia Foster and Timothy Jared Wrenn were united in marriage on Oct. 11, 2014 at 5 p.m. at the Triple R Ranch in Franklinton. Dr. Reggie Rushing officiated the double-ring ceremony on the front porch of the home place. An outdoor reception followed. On Friday evening, the rehearsal dinner was hosted by the groom's parents at Greenhill Country Club. 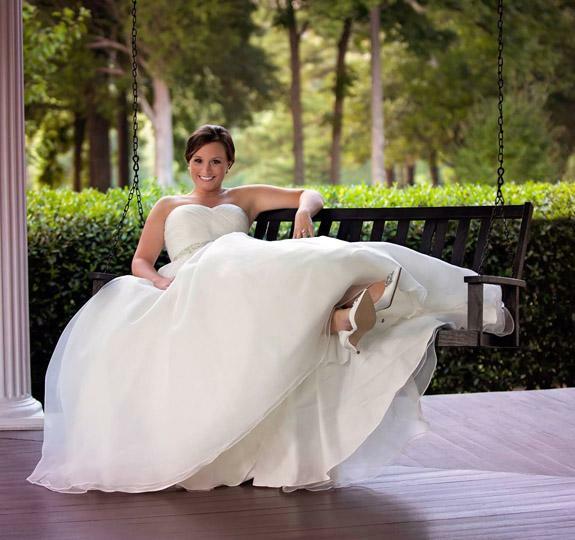 The bride is the daughter of Billy and Candy Dement of Louisburg and Warren and Karen Foster of New Bern. 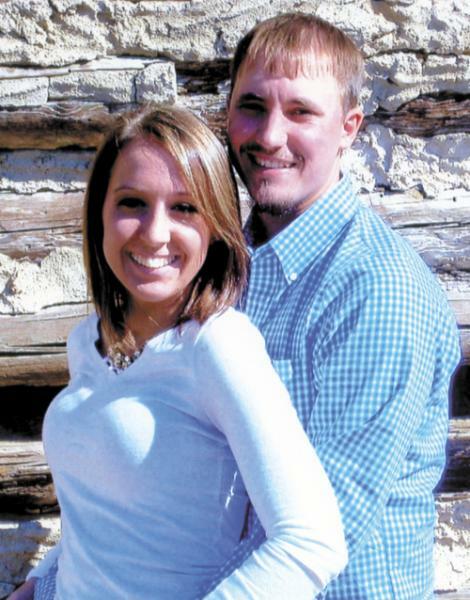 Darryl Jones of Creedmoor and Renee Jones of Franklinton announce the engagement of their daughter, Hannah Catherine Jones to Cody Scott Norwood, son of Scottie and Jaime Norwood of Butner and Tammy Clayton of Creedmoor. The wedding is planned for Sept. 5, 2015. LOUISBURG -- The Franklin County Parks and Recreation Advisory board got the ball rolling last week, agreeing to find out how much it would cost to get the biggest pond at a new county park site ready for fishing. On Nov. 3, the Franklin County Board of Commissioners agreed to buy Bull Creek Golf and Country Club and turn it into a park. LOUISBURG -- Franklin County sheriff's deputies arrested a Louisburg-area man on charges of robbing a man, apparently with a toy gun. A 55-year-old man reported the evening of Nov. 13 that someone rang the doorbell to his Buckridge Road home and when he went to answer, he was accosted by an assailant. YOUNGSVILLE -- Town commissioners agreed to pursue a grant that would spark economic development. They also agreed to ask Board of Elections staff to put an item on the ballot next year that, if approved, would allow proprietors to sell liquor by the drink in town. Commissioners also continued discussions regarding the town's parks and recreation baseball program -- including the possibility of raising fees. 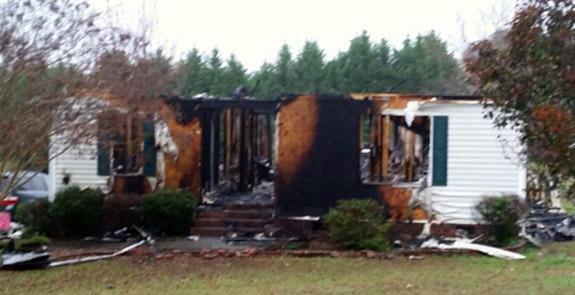 FRANKLINTON -- A Franklinton-area family escaped harm, but lost all of their possessions during a late night/early morning house fire. Youngsville fire crews responded to 60 Hill Road just before midnight on Nov. 16 to find the one-story structure fully engulfed. County Manager Angela Harris addresses a group that turned out for the launch of a new information resource for Franklin County residents. The county partnered with the United Way of Franklin County to pay for residents' ability to connect with a national system that is hooked up to a North Carolina call center, allowing people to call 211 and receive information on volunteer and human services. 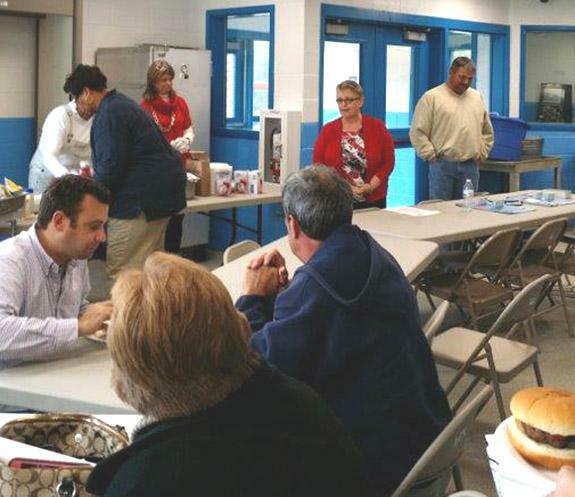 LOUISBURG -- Franklin County and local election officials certified the Nov. 3 tally last week. Based on provisional ballots and other canvassing factors, election numbers changed slightly, but no outcomes were impacted following the Nov. 14 canvass that made results official. Kent Winstead beat out incumbent Sheriff Jerry Jones by a 10,915 to 8,893 official tally.